"Dances Of The Dreams' (Tance Snu) is a sonic journey through unexpected and undiscovered worlds of human imagination. This sonic journey is accompanied by the aura of oddity or mystery straight from the fairytale land. From a rich array of sounds, colours and surprising ideas, the artists extract haunting, subtle melodies. Here eerie music entwines with ambient, oriental melodies with experimental sounds, folky lightness corresponds with elements of neo-classical. 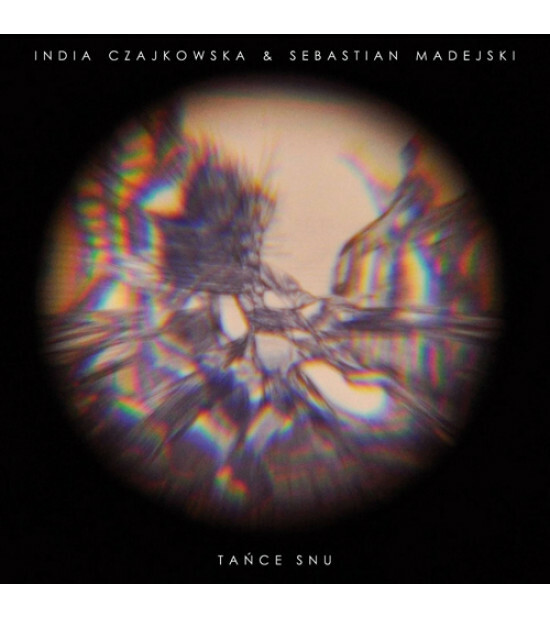 The duo of India Czajkowski and Sebastian Madejski have created a very suggestive album by the use of early instruments (viola de gamba, psalterium) flute, piano, synthesizer, guitars and two unconventional voices; an album that is very hard to pigeon-hole. Having drawn inspiration from tradition, it brings a lot of freshness into a seemingly fossilised structure. It is surprisingly interesting, intriguing and delightful album for numerous listens. For fans of neo-classical/new folk sounds of Ataraxia, Rajna, Louisa John-Krol, Arcana or Collection D'Arnell-Andrea. CD comes in a 6-panel ecopack. 11 tracks, running time 60:00 mins.